This week we've added support for programming more kinds of hardware. 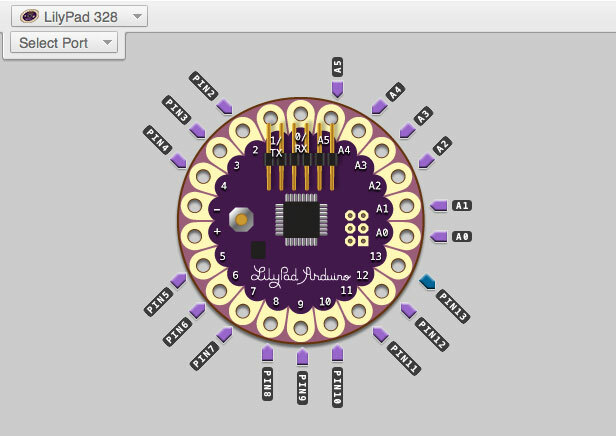 That includes the sewable (and fashionable) LilyPad Arduino and LilyPad Arduino Simple. We're also making it easier to get started with the editor preview. The editor now loads with a list of available boards, so just click a board to load up the editor with the hardware configuration and blocks for the board you want to program. A very, very impressive GUI. 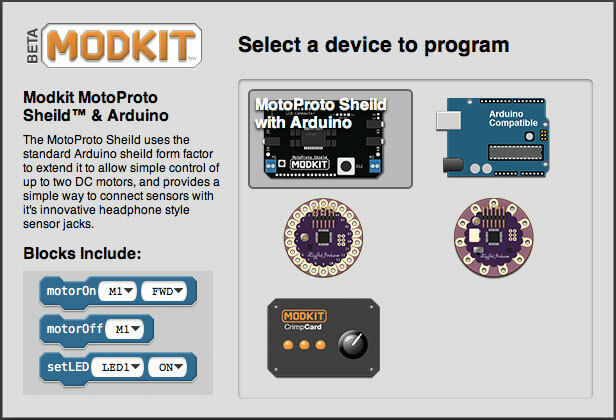 How do I access that support modules for the LilyPad Arduino?